A cookie is a small information file that is sent to your computer, mobile or other device when you visit a website, each cookie is unique to your web browser and it will recognise your device on future visits. This is standard practice for all websites. Cookies do a number of different jobs such as remembering your preferences and chosen items, assisting you to improve your site experience as well as trying to ensure that the adverts or offers you see online are more relevant to you, letting you navigate between pages efficiently and generally improving your experience of a website. These cookies are essential in order to enable the site to provide services you have asked for such as adding and remember items in your shopping bag and tracking sales. This type collects anonymous information on how people use our website and the data is merged with other users to enable us to improve how the site operates. They do not store personal information such as name, address or any payment details. For example we utilise Analytics cookies to help us understand how customers arrive at our website, browse or use our website and highlight areas where we can improve areas such as navigation, shopping experience and marketing campaigns. The data stored by these cookies never holds or reveals personal details from which your individual identity can be established.  By using and browsing the Oven Ace website, you consent to cookies being used in accordance with our policy. If you do not consent, you must disable cookies or refrain from using the site as the website may not operate properly if cookies are switched off. We do not use ‘third party cookies’ on our website. Our site however may contain links to and from the websites of our partner networks, advertisers and other third parties. If you follow a link to any of these websites, please note that they have their own privacy policies and that we do not accept any responsibility or liability for these policies. Please check these policies before you submit any personal data to these websites. Some people find the idea of a website storing information on their computer or mobile device a bit intrusive. Although they are generally quite harmless and do not store personal data if you prefer you can block some or all performance cookies, or even delete cookies that have already been set. But you need to be aware that you might lose some functions of that website. If you wish to restrict or block web browser cookies which are set on your device then you can do this through your browser settings. You may wish to visit www.aboutcookies.org, which contains comprehensive information on how to do this on a wide variety of desktop browsers.